Another reason to celebrate --- this time at the SM Mall of Asia By the Bay. Grand Opening on July 12, 2013. 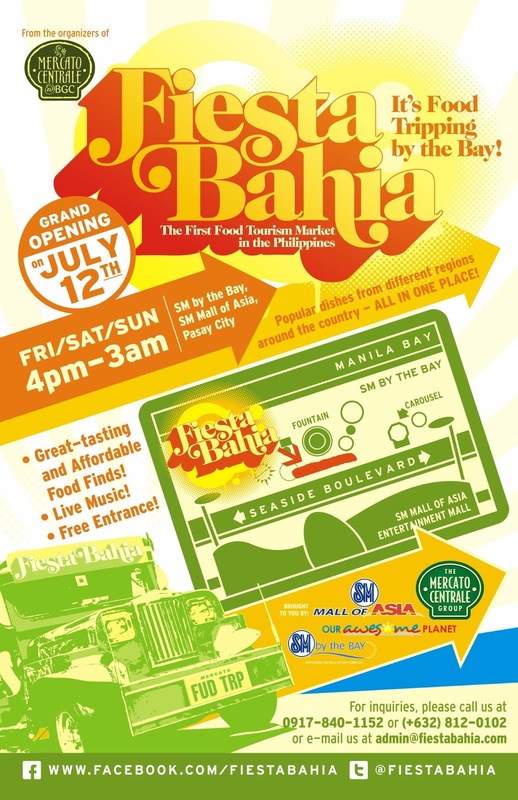 For interested food vendors who want to join Fiesta Bahia, please contact(+63 917) 840-1152 or (+632) 812-0102 or admin@mercatocentrale.ph. We are prioritizing vendors who specialize in regional/provincial food. The more unique, the better!